What is your take on the Rhodes Saga at UCT? CAPE TOWN – The University of Cape Town (UCT) says it will soon begin a series of discussions in which it will include the entire student body to debate concerns regarding of a lack of transformation at the institution. 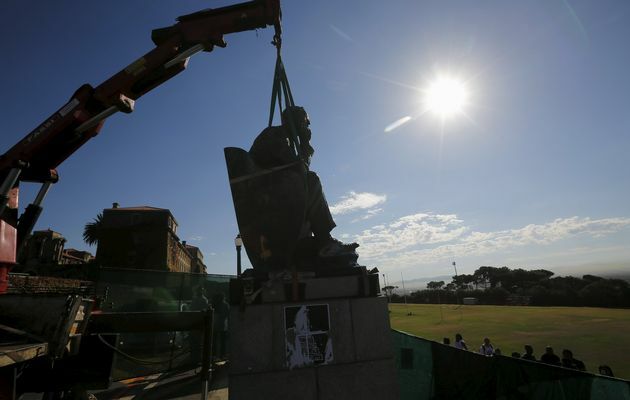 Students demanded that the university fast track transformation and remove a statue of Cecil John Rhodes which was seen as a sign of past oppression. They held a protest on campus recently and later an overnight sleep in at the campus administration building. He says lectures will be interrupted for one day next week. Meanwhile, several organisations, including the Ses’khona Peoples Rights Movement and the African National Congress (ANC), put their weight behind UCT students who are calling for transformation and the removal of the statue of Rhodes. Staff members also spoke out about their experience at the university. About 300 people gathered in front of the Bremner Building on campus. Two UCT academics told students at the gathering that they were also facing issues of transformation, saying they’d raised concerns with management, but their grievances had been brushed aside. Humanities lecturer Zethu Matebeni said there weren’t enough black professors at the institution. She said she was told it took up to 20 years for one to be a professor but that this wasn’t true.